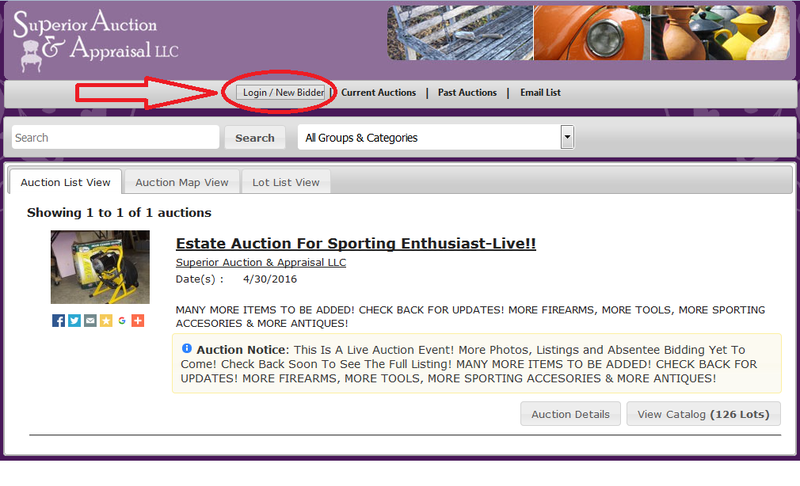 How To Create A New Account - SUPERIOR AUCTION & APPRAISAL LLC. How To Create A New Account! Getting Setup To Bid Online! 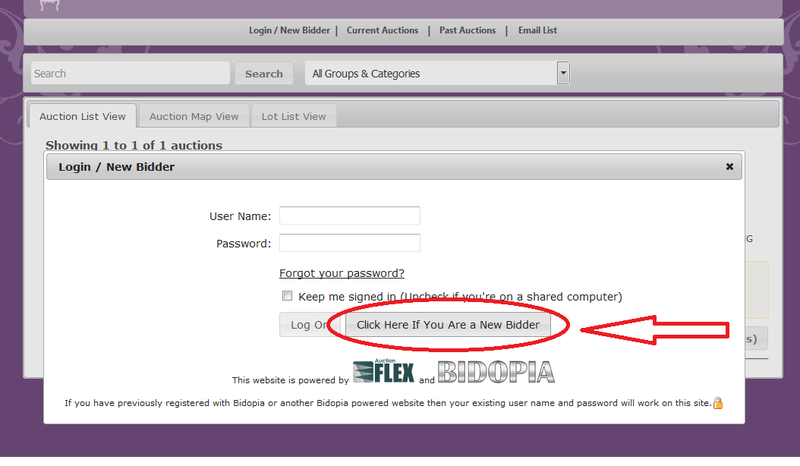 Step One: Click On The "Login/New Bidder" Link On The Navigation Bar. The Login/New Bidder Screen Will Appear. 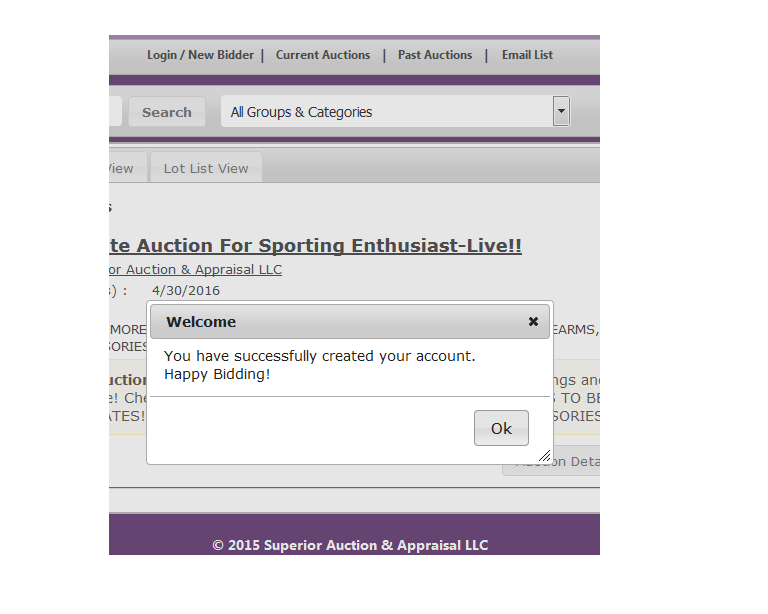 Step Two: If You Are A New Bidder, Click On The Button That Say's, "Click Here If You Are a New Bidder". A New Screen Will Appear. 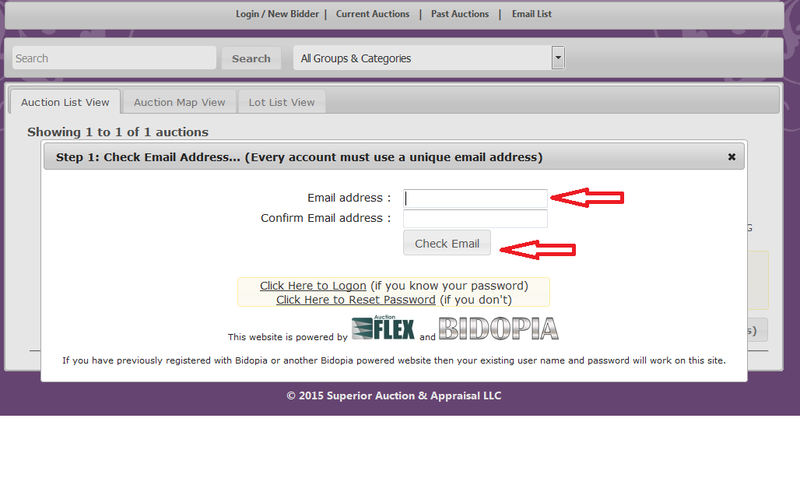 Step Three: Enter Your Email & Click Check Email. 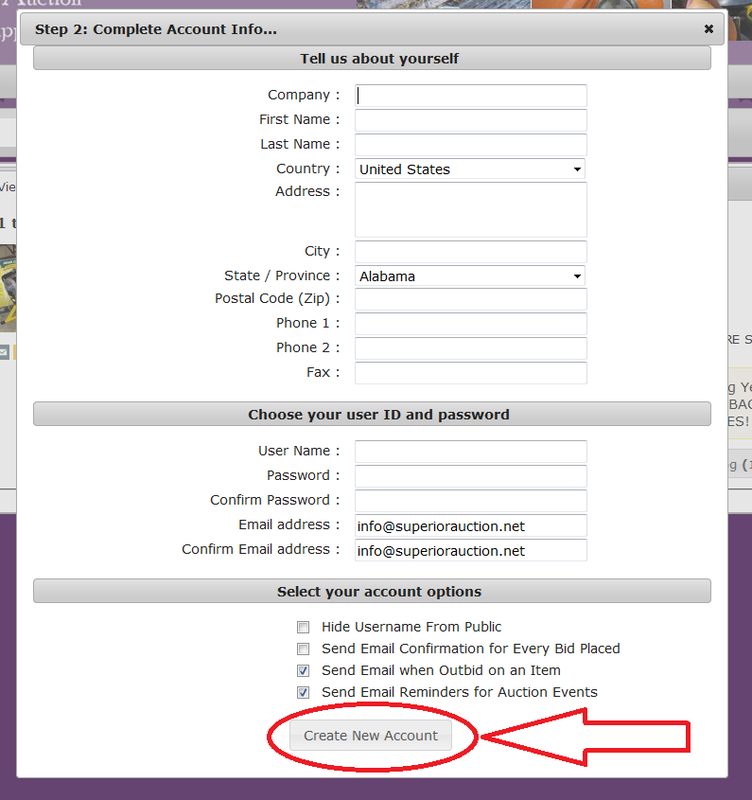 Step Four: Fill Out All Of The Applicable Fields And Click Create New Account. Step Five: As Long As All Required Information Is Entered Properly, You Will Get A Welcome Screen Confirming The Creation Of Your Account.